Breast Augmentation? What do I need to know? Many women considering breast augmentation, begin their fact finding process by wondering what questions to ask. Aside from the obvious question of “how big do you want to be,” there are other more clinical questions that need to be addressed as well. Hopefully this will be of value to the reader in order to help them make an informed decision on on breast augmentation. A few facts about breast augmentation. Breast augmentation is one of the most popular elective cosmetic surgeries performed in the US today with over 350 thousand women going under the knife in 2008 to have this procedure performed. Breast augmentation, using implants, has been around for roughly over 40 years now. However, it didn’t really become popular until the 1980’s. Early use of silicone filled breast implants resulted in having them banned for use in the US in 1992. This was due to complaints of breast implant rupture, leaking and other issues. However, saline implants continued to be used through this time up until silicone implants were re-approved by the FDA in 2008. The leading manufacturers of breast implants, Allergan and Mentor both spent many years funding independent studies and redeveloping new silicone breast implant technologies. The new cohesive silicone gels will not bleed out of it’s casing even in the unlikeliness that the implant ruptures or tears. Mimic natural breast tissue better resulting in a more natural look. Weigh less than saline implants – reducing the chances of ptosis and breast droopiness. One of the primary reasons for the popularity of this procedure is due to women’s dissatisfaction with their breast size and shape. Social stigmas of small breasted women also may play into the perception that bigger breasts can make women happier by making them more attractive which increases their self-esteem. Women who choose to have breast augmentation need to consider many things. How big do I want to be? Implant size is determined by its volume, projection, and base diameter of the implant. Skin laxity can determine probability for maximum augmented breast size. What type of implant do I want? 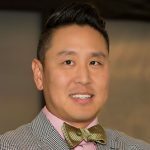 What type of incision do I want performed? Implant type will often determine incision choice. Most surgeon’s have their incision preference and are willing to discuss your options in your consultation prior to having surgery. Saline implants require a smaller incision since they are not inflated with saline until they are placed surgically inside the breast cavity. Where will the breast implant be placed? 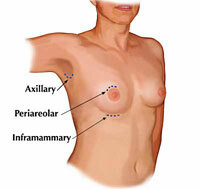 The placement can determine how the newly augmented breast will look. Breast implants placed below the muscle gives a more fuller projection on top. There are many things to consider before undergoing breast augmentation and choosing the right surgeon is the most important part. Carefully, consider the credentials of the surgeon and seek out multiple opinions before scheduling your surgery.